The Qur-an (al-qur-an, literally -the recitation-; also sometimes transliterated as Quran, Qur-an, Koran, Alcoran or Al-Qur-an) is the central religious text of Islam. 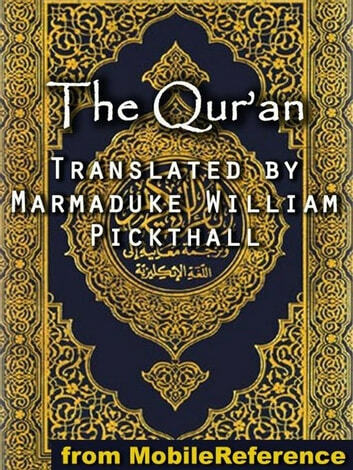 Muslims believe the Qur-an to be the book of divine guidance and direction for mankind, and consider the original Arabic text to be the final revelation of God.Islam holds that the Qur-an was revealed to Muhammad by the angel Jibril (Gabriel) from 610 CE to his death in 632 CE. The Qur-an was written down by Muhammad&apos;s companions while he was alive, although the prime method of transmission was oral. In 633 CE, the written text was compiled, and in 653 CE it was standardized, distributed in the Islamic empire and produced in large numbers. 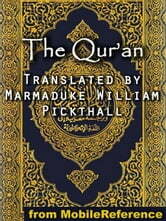 The present form of the Qur-an is regarded as God&apos;s revelation to Muhammad by Muslim believers. Academic scholars often consider it the original version authored or dictated by Muhammad. Muslim tradition agrees that it was fixed in writing shortly after Muhammad&apos;s death by order of Umar and Abu Bakr.- Excerpted from Wikipedia, the free encyclopedia. I read the first of this trilogy - Fall of Giants. It was excellent. Winter of the World continues in the same superlative fashion. The narrative is quick and absorbing. Through the eyes of interesting characters, you get a front row seat in the most memorable historical events that were really not that long ago. The first book took me inside the world my grandparents experienced. This one transported me into the events that shaped my parents. The book provides in-depth perspectives and describes how people actually felt at the time. There is a handy map of the world on the inside covers. It shows all the cities where events transpire. Ken Follett is a master storyteller. His books are extremely interesting and thoroughly enjoyable. I eagerly await the third in this series.